Samsung Galaxy J7+ comes with a 5.5-inch Full AMOLED display, with the screen set to 1920 x 1080 resolution and designed with 2.5D glass. It will run on a 2.39 GHz octa-core processor, and the phone has a 3000 mAh battery. This is Samsung’s first dual-rear camera in the mid-range series. 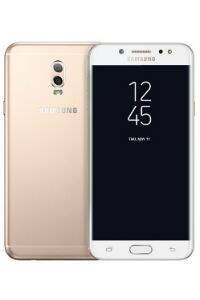 Samsung Galaxy J7+ comes with a dual-rear camera of 13MP sensor with a 5MP autofocus lens, which supports an f1.7 aperture. The selfie camera is 16MP with f/1.9 wide aperture and LED and Screen Flash. The camera of the phone provides Live Focus for the rear camera and Selfie Focus for the front lens. Samsung Galaxy J7+ has 4GB RAM and 32GB of internal storage, expandable to 256GB. Other features include Fingerprint Sensor, Face Detection Security and Security Folder. The phone also has an Always-On Display. Additionally this phone will come with Samsung’s voice assistant Bixby. Samsung Galaxy J7+ is expected to be launched on September 18 in Thailand. India launch date is not confirmed. It will be available in Rose Gold, Black and Pearl White colour options.